ss 5/3/2017 otp 5/10/17.. An amazing opportunity! A new (2016) house without GST OR GROWTH FEE!! Occupied for less than 1 year! Priced BELOW the amount it was purchased for in 2016! The Biltmore 5 : A 2-storey, home perfect for a contemporary lifestyle, this open plan main floor is made for a busy family. Cook up your favorite meals in the large gourmet kitchen which features a walk-in pantry and eating area that overlooks the great room. TONS OF EXTRA UPGRADES! 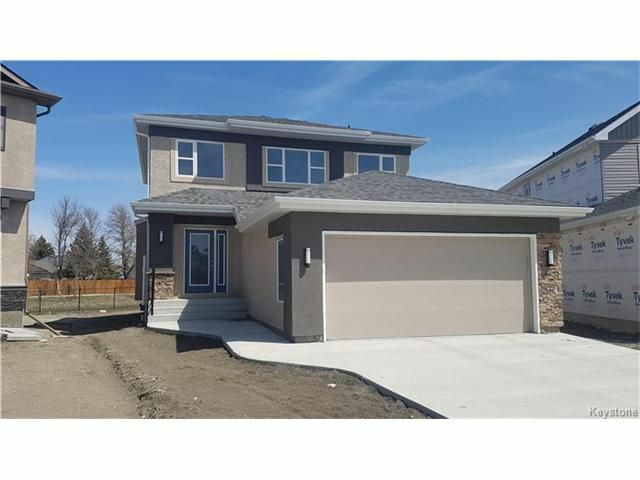 : 3 bed, 2.5 bath, dbl garage, fl insulated basement, quartz counters, back deck, hardwoods, air con, new appliances, second floor laundry, extra large yard right on the heart Trail leading all the way to Whyte Ridge! Lot sizes are the largest noted on survey. Photo attached. Actual property tax amount to be determined.